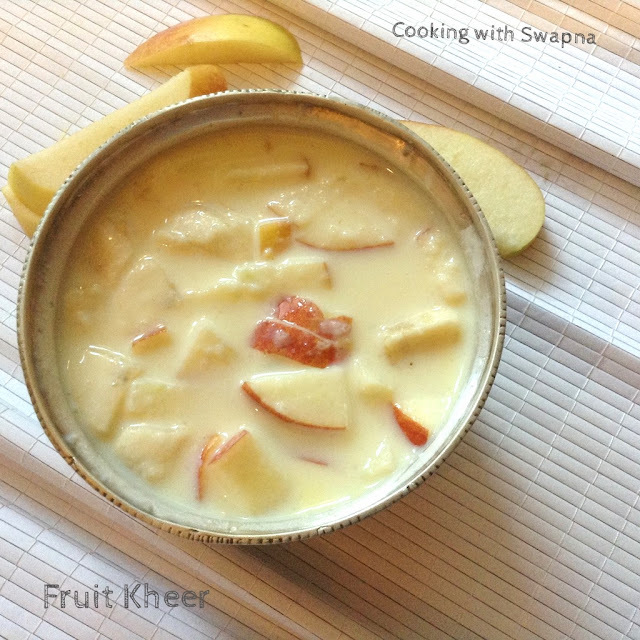 Cooking With Swapna: Fruit Custard Kheer !!! 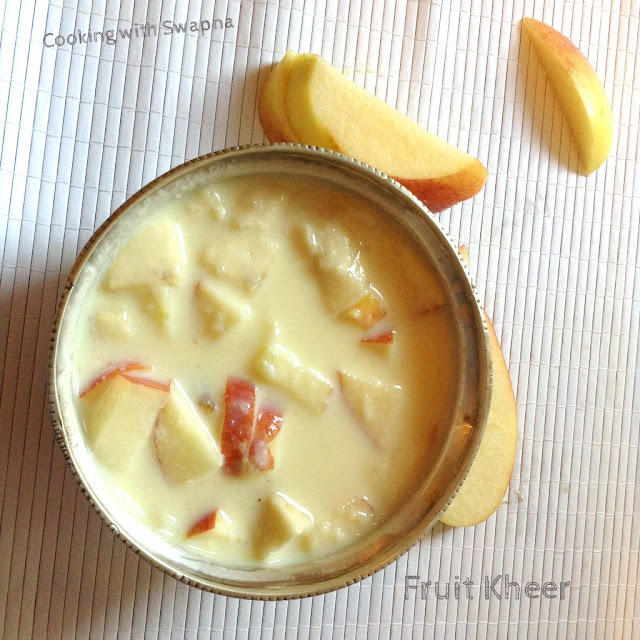 Fruit Custard Kheer is a healthy and delicious wholesome dessert made using milk, rice, custard powder and fruits. It is smooth, creamy and rich with lots of fruits. 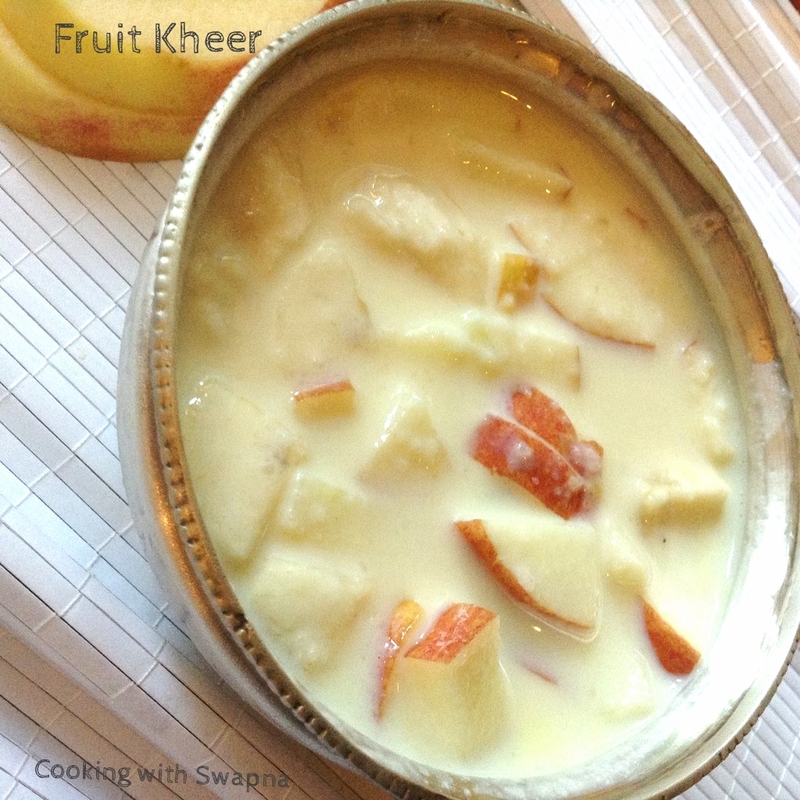 We can use seasonal fruits for this kheer but apple & banana is must. Easy to make & healthy for kids n everyone !!! 1. Boil 3 cups of milk over medium heat. Now add drained basmati rice and stir continuously. 2. Meanwhile dissolve the custard powder in the remaining milk and whisk properly without any lumps. Add the custard powder mixture to the boiling rice once the rice is cooked. Stir continuously. 3. Add sugar, cardamom powder and saffron. Mix well. 4. In another pan, add butter and add apple, bananas, grapes, orange segments and a tbsp of sugar. Stir for 2 mins. 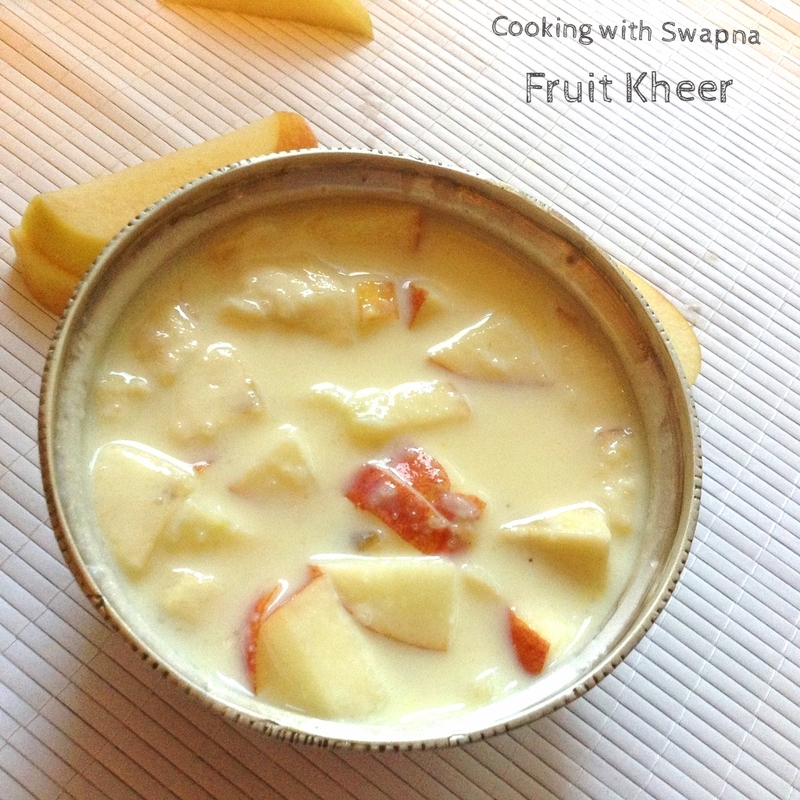 Cover the pan and let it cook over low heat for 2 mins or until fruits soften a bit. 5. 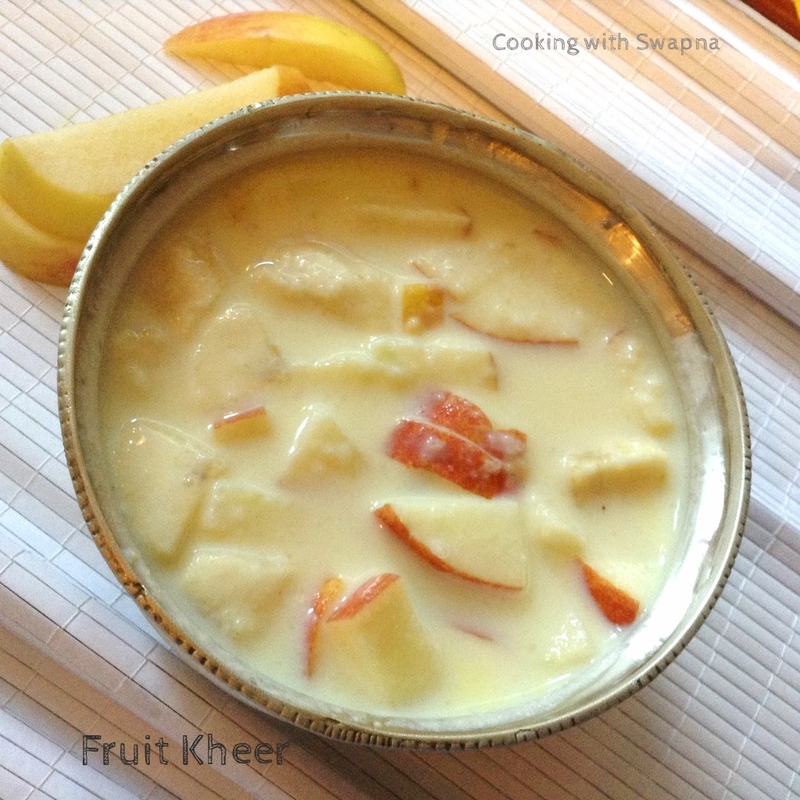 Pour the custard kheer over the fruits. Sprinkle pomegranate pearls & grapes and serve.